On the other hand, the Internet does deliver on the awesome. 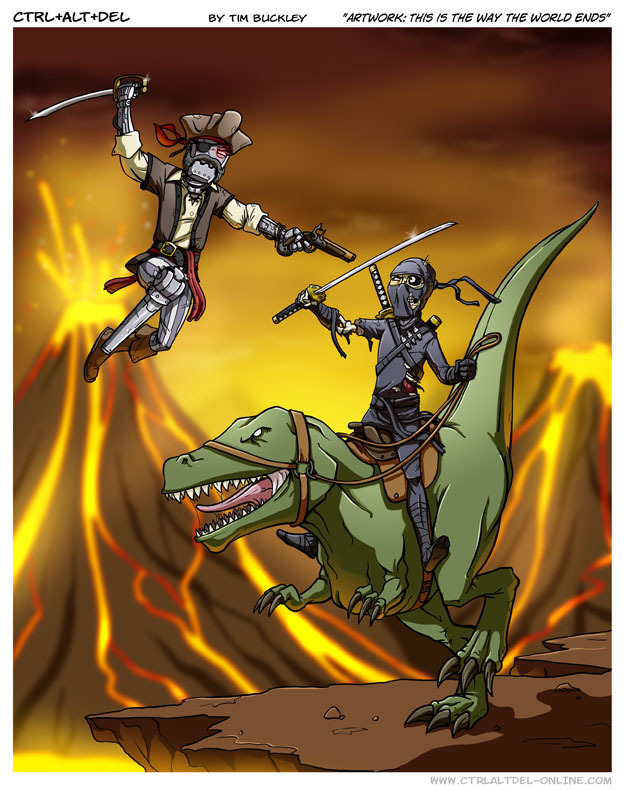 It wouldn’t take much to add a Nazi armband to the ninja, plus: robot pirate! Alltop is the Internet librarian of funny. Pic by Ctrl + Alt + Del.